Help your customers celebrate Easter with our eggcellent selection of wholesale Easter Cards, Wraps and Gifts. From classic Easter cards to cuddly Easter chicks we’ve hand picked a cracking selection of Easter products that your customers are guaranteed to love – order online before 12pm and benefit from next working day delivery. 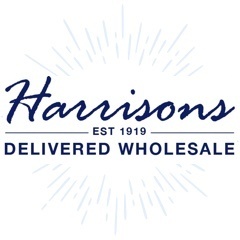 At Harrisons, we have everything that your customers could ever need to make Easter egg-stra special with our egg-cellent range of wholesale Easter products. 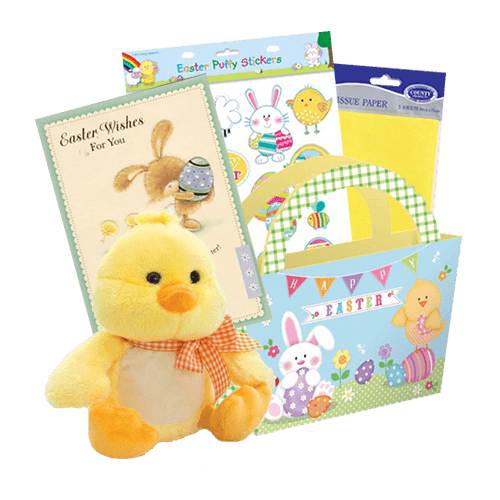 We have a great selection of Easter cards, wraps and gifts. You won’t have to search far for the Easter bunny as we have lots of wholesale cuddly bunny rabbits here at Harrisons. Kids will love this blue plush bunny – it’s super cute with its floppy ears, sparkly eyes and pretty pink nose. No Easter would be complete without an egg hunt! Get ready for an awesome Easter egg hunt with our wholesale Easter Arrow Signs, cute character felt bags and this 35-piece bunny trail set. We have a wide range of gift bags to choose from – perfect for all those Easter treats and surprises. Choose from these Easter basket bags, extra large cute character bags with an extra wide gusset or these chick and egg gift bags. Can't find what you're looking for on our website? Call our customer care team on 01254 306840 and we'll be happy to help!